Since 1980 the Big Apple Roundup has always held a open meeting on Thanksgiving Day. Please join us to continue the tradition. 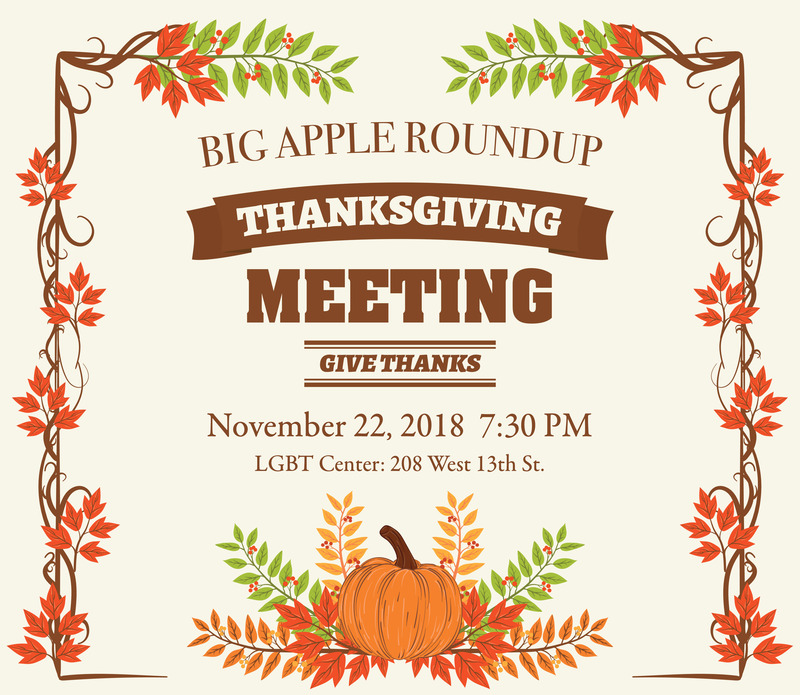 Over the past years the Big Apple Roundup has welcomed speakers from around the world to speak at the annual Thanksgiving Day Meeting. Below are some highlights since the first meeting in 1980. Enjoy. Speaker 1 – Lisa J. Speaker 2 – Michael LaR. Speaker 3 – Kate M.